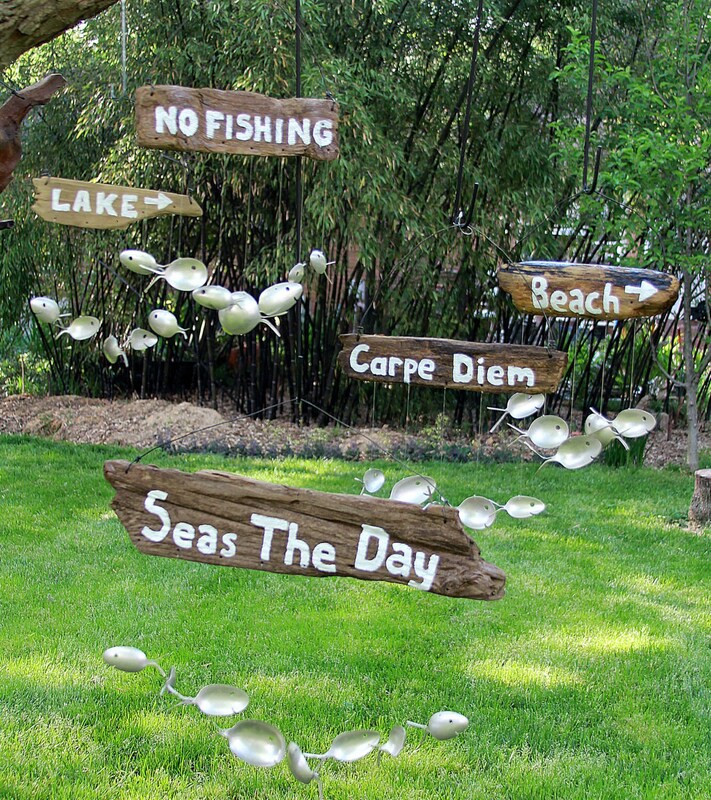 These hand painted driftwood sign is a great addition to any yard. 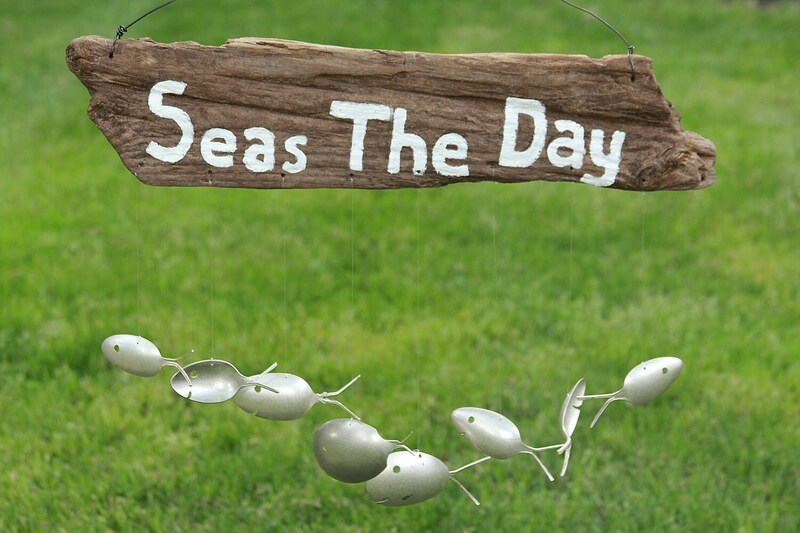 Each Seas The Day sign is unique yet guaranteed to be just as charming as the one pictured above. 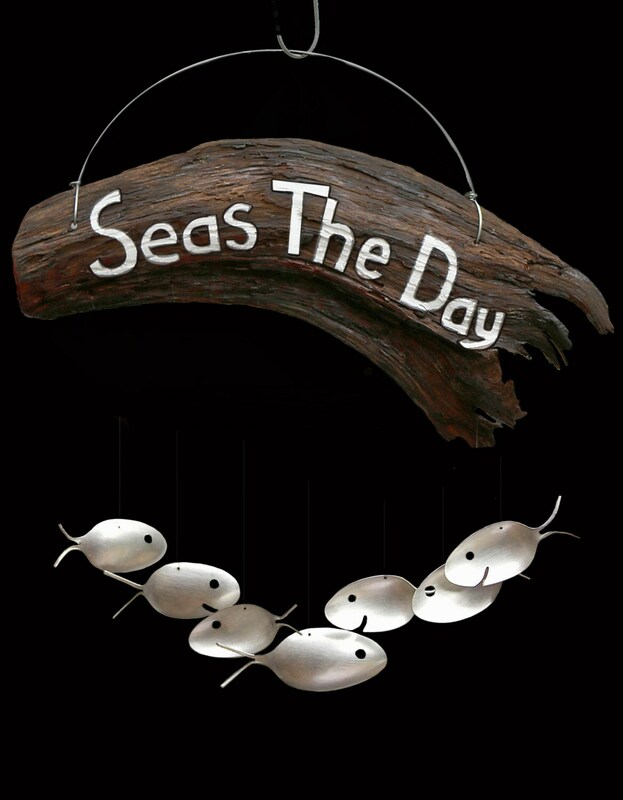 Signs are created from natural driftwood collected from NC shores. 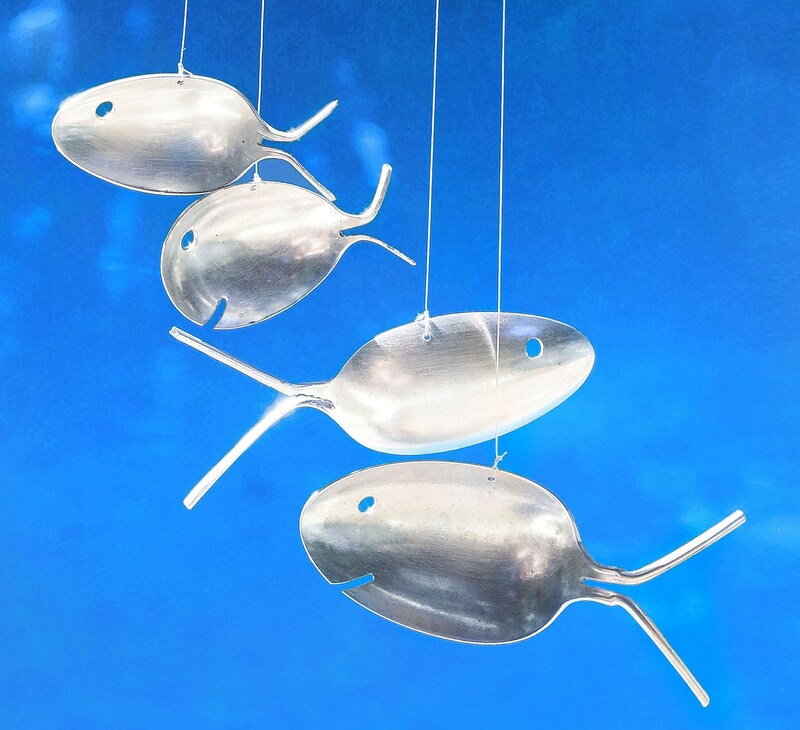 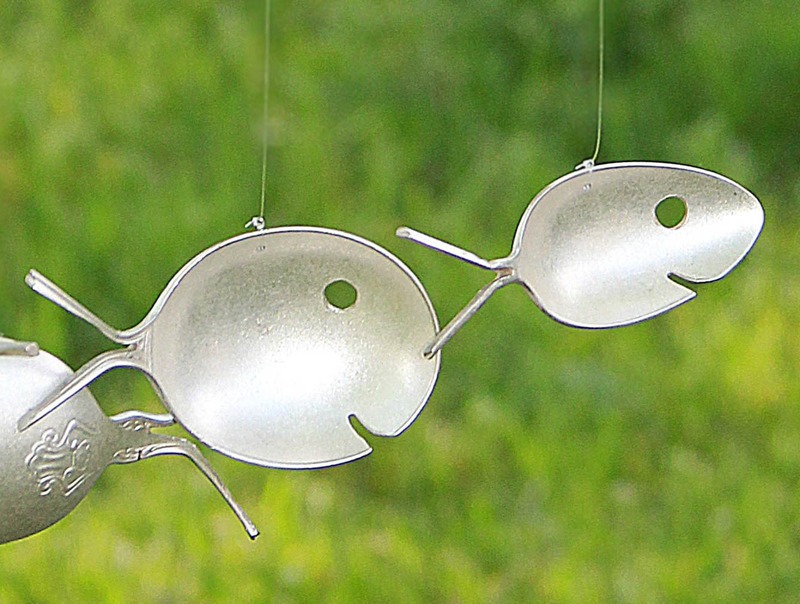 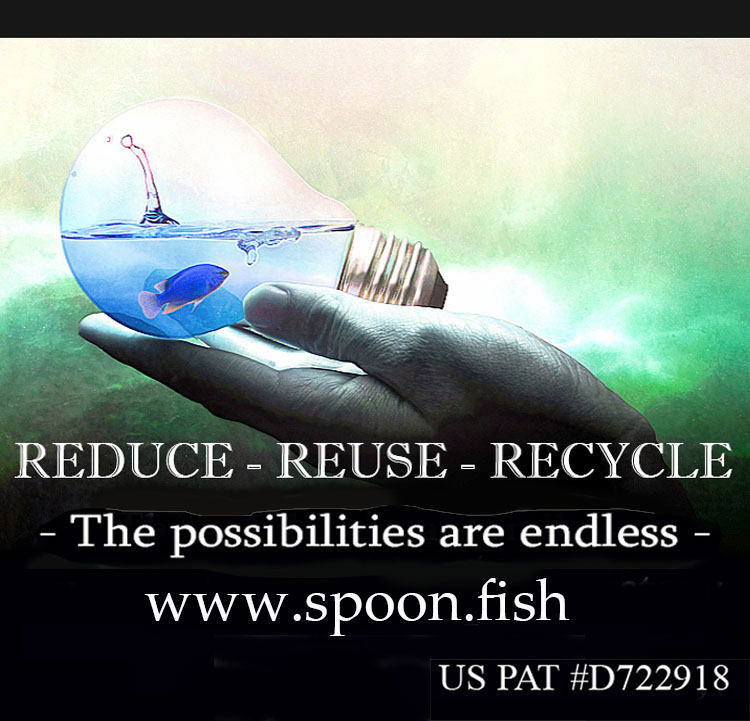 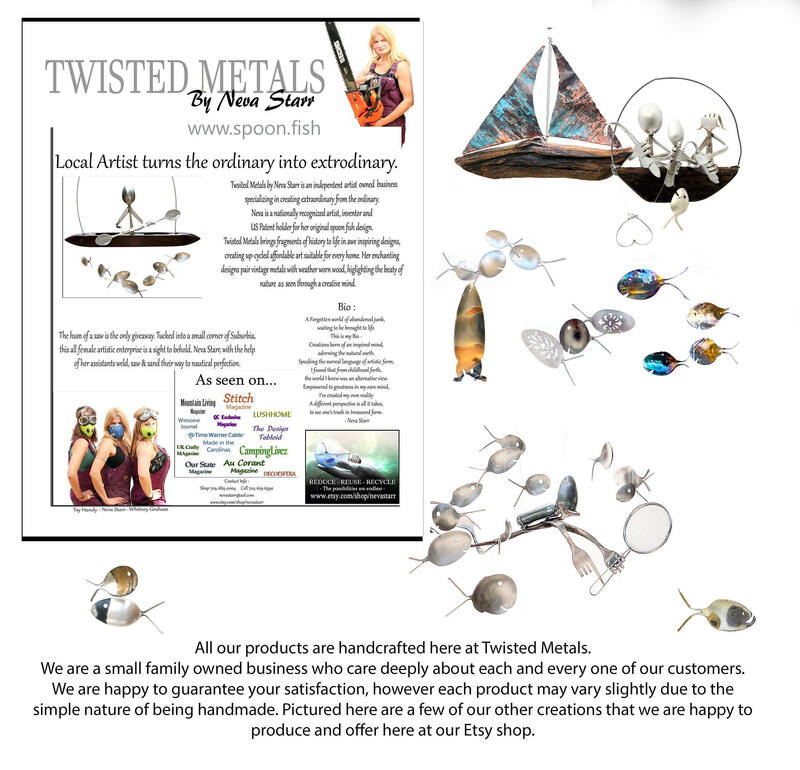 Whimsical spoon fish are upcycled from antique silver plated utensils dating back as early as the 1800's. 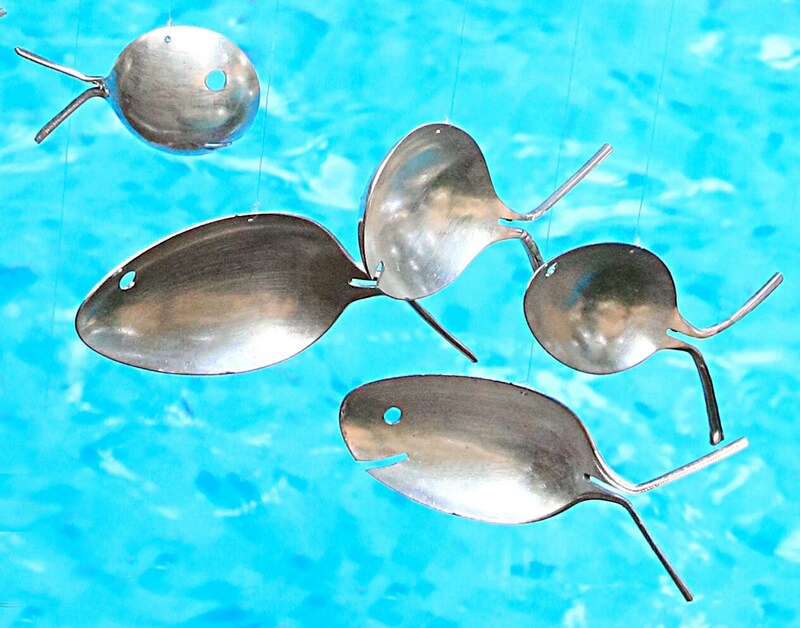 Sit back, relax and listen to these chimes sing you songs of centuries past. 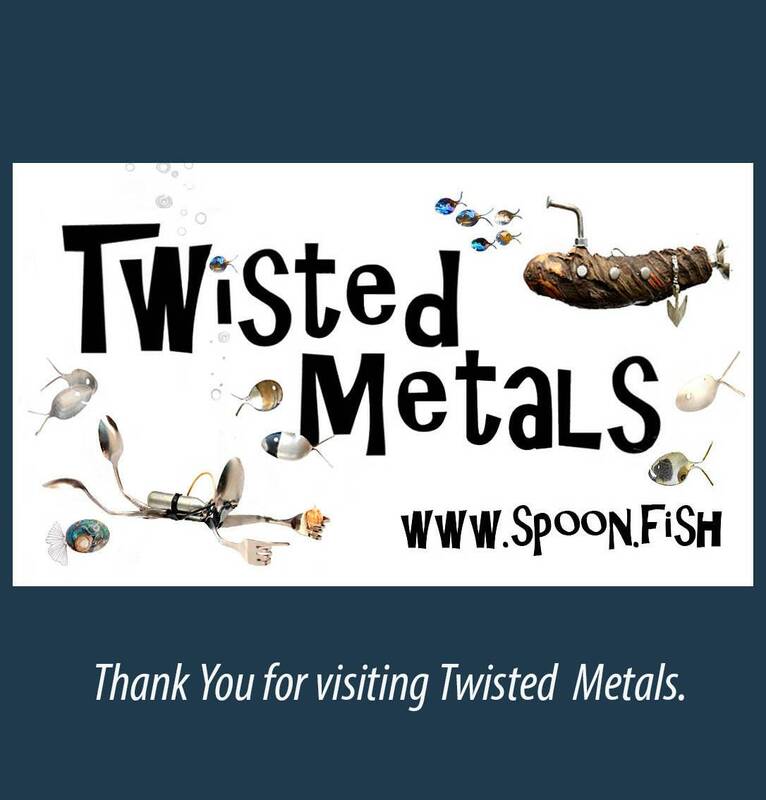 Custom signs are also available .Please contact me if desired.